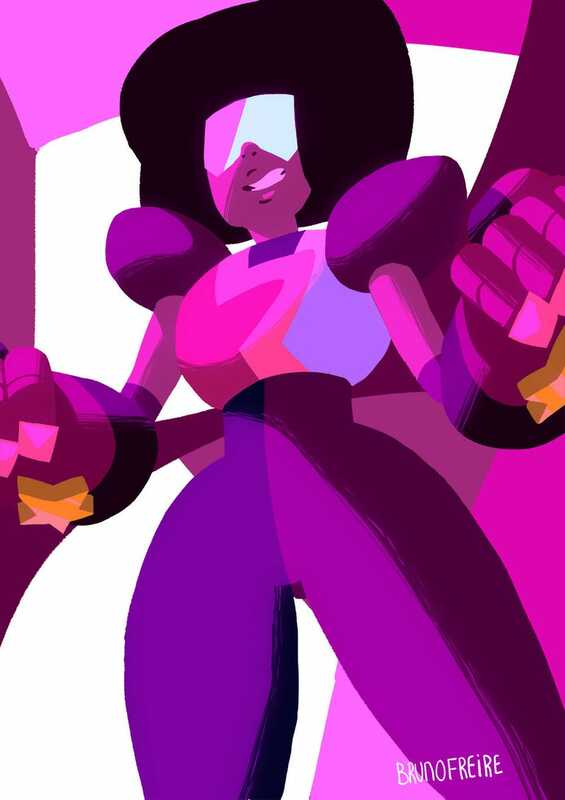 OK, so we know Garnet is a Fusion and not an outright Gem (thanks for that bubble-burst Peridot) but she still is the leader the Crystal Gems need and wonderfully competent at her job. This fan art by Brazilian artist Bruno Freire vibrates with all the right colours whilst showing Garnet ready for action. I could stare at that colour palette all day, it’s glorious. Enjoy! I Need Advice, Am I Being Shat On From A Great Height?